NH Flight of the Eagle Therapy, Show & Driving Llama Star! What is a 4H Llama? Are You Supporting a Llama "Cria Mill?" Is There Money In Breeding Llamas? this title when the requirements and competition were more difficult. 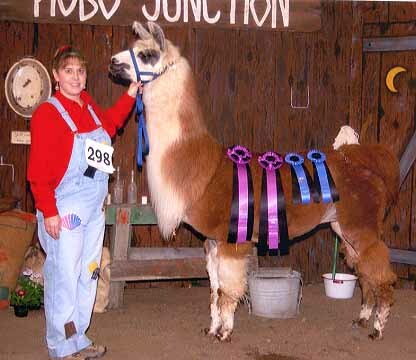 He was trained and handled by JNK Llama Farm for these wins! Dazador was trained to drive also! Daz and his little boys he weans. While working for Kay at her 2002 Walkabout Sale, we were fortunate to obtain Dazador out of Kay's giveaway pen (thank you to Wayne Rankin for giving us his pick). He was the last *El Fuerte son born at Hinterland. During the weeks working there, Niki kept noticing Dazador and was really drawn to him. She also was always an admirer of *El Fuerte too! Dazador was a very FUNNY and QUIRKY guy that was really willing. 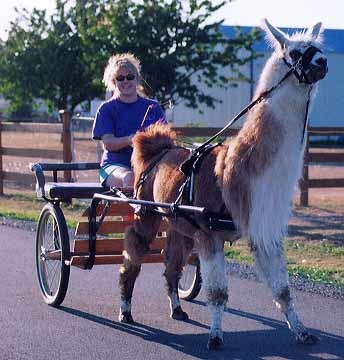 He was definitely a girls llama, Dazador loved Niki and would do just about anything for her. When Eagle was alive, the two of them were very jealous of each other when one got Niki's time and the other didn't. Dazador quickly began winning awards in halter and performance, proving how smart he truly was. He competed for his Elite when classes were large and very competitive. Winning consistently for several years. 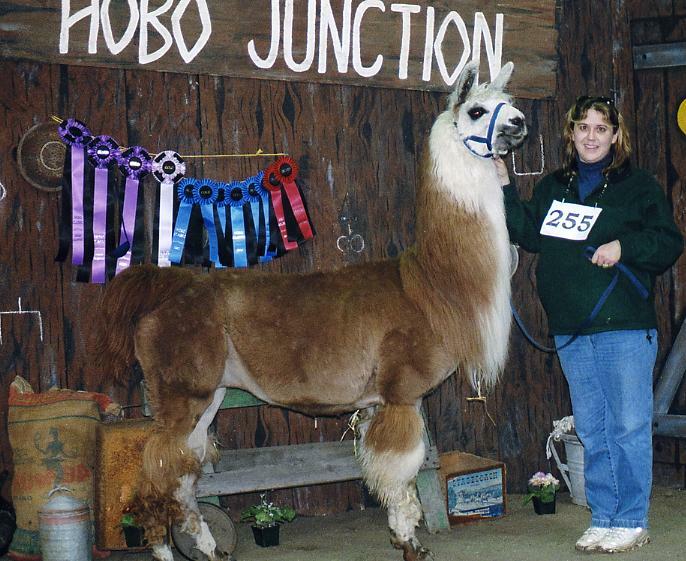 After his big show life, Daz retired and enjoyed a quiet life around the farm as a 4H loaner llama and pet being spoiled. Daz raised several 4H youth members over the years. Daz weaned most of our male babies and taught them manners. 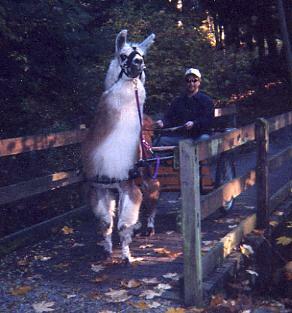 He was one of Niki's very favorite llamas on the farm. 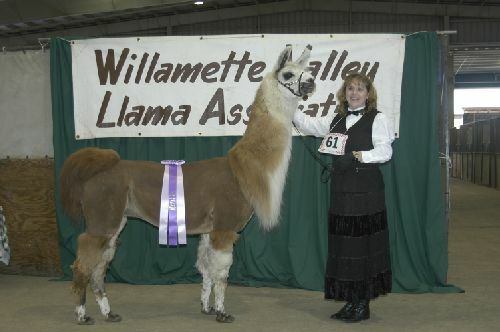 All information & pictures contained within this website are the sole property of JNK Llamas and may not be copied or reproduced without written permission of owners. Copyright 2019.